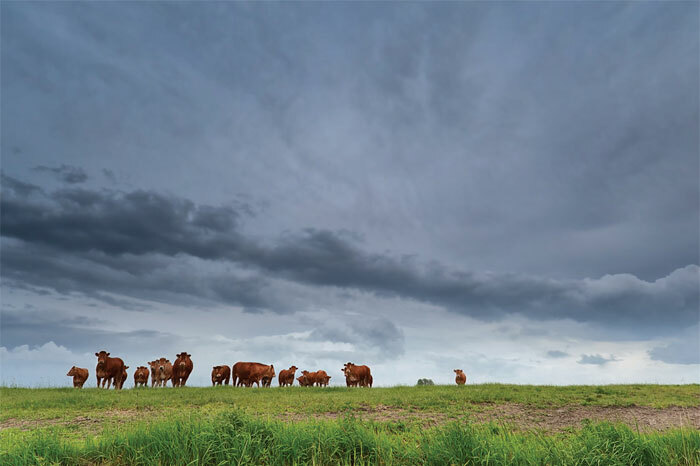 FOR GROWERS, RANCHERS, AND PET AND LIVESTOCK OWNERS, hurricane preparedness begins long before the storm makes landfall and continues even after the final tree stops swaying. From maintaining grove tree size and keeping tools on-hand for repairing and resetting, to having pets micro-chipped and the database updated with their information, two experts from the University of Florida Institute of Food and Agricultural Sciences offer their suggestions as to how to prepare for this year’s hurricane season. John Haven, director at the UF College of Veterinary Medicine, offers some suggestions on how to protect pets and farm animals. After the storm, John believes it is important to let friends and family know your status. Don’t go cruising to look at damage. Also, remember other animals have taken shelter. Snakes, for instance, may be in sheds or barns, so be careful, and check fences to ensure animals are still safely contained.